On Sunday, I was lucky to catch MagicSports at the Melbourne Magic Festival at The Melba Spiegeltent. 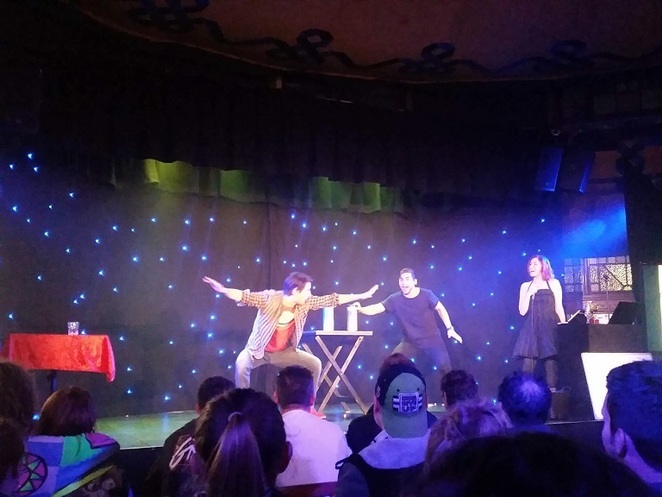 Created by Tim Ellis, this is a theatre sports competition for magicians, where teams are given challenges and parameters to improvise magic tricks. A panel of judges scores each act and so does the audience. Members of the audience also donated items for the magicians to use in their acts as an added twist. From the 'Instant Trade Game', 'Three Secret Tasks' to 'Drunk Tech', we were kept in suspense and entertained, wondering if the teams would meet the challenges thrown at them. Like 'Whose Line Is It Anyway?" or 'Spicks n Specks' magicians develop tricks on the spot relying on their own expertise, with the criteria provided by the hostess Carisa Hendrix (aka Lucy Darling). Between acts, the audience was sprayed with candy. 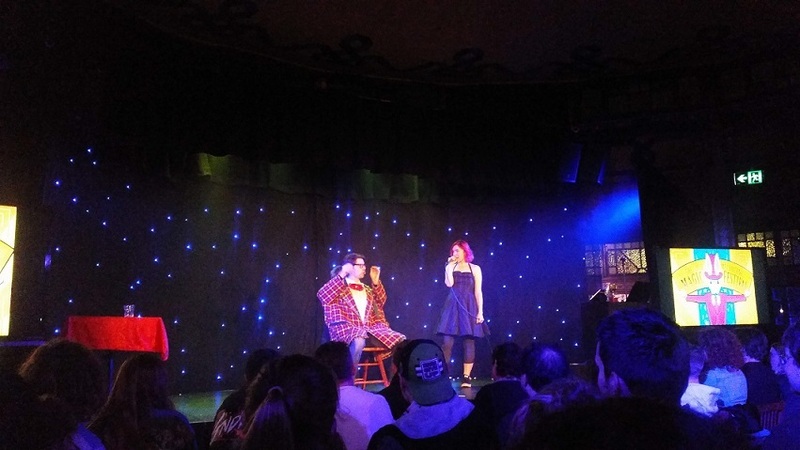 On Sunday night, we saw vanishing lipsticks, magic glasses and a magician drill through his arm. MagicSports can get messy as anything is possible when you have only minutes to perform your trick convincingly on the spot. 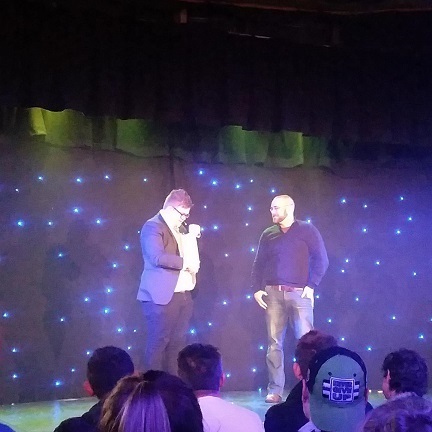 My favourite challenge was 'Emotional Rollercoaster' and MagicOke (like karaoke), where the magician sings their trick to a randomly chosen song. 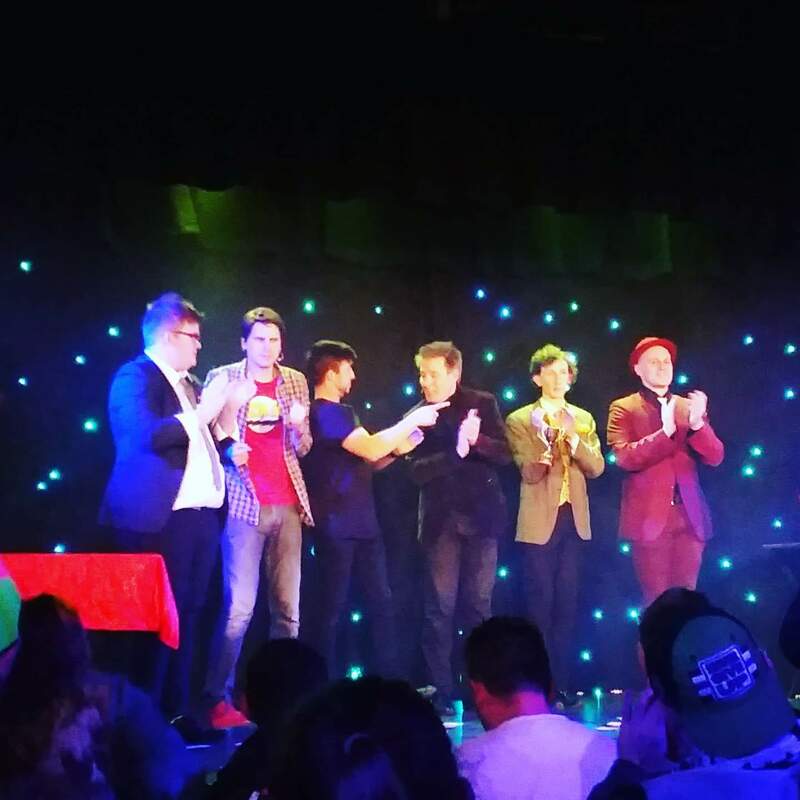 This kept the audience in raptures and cheering on both magicians and 'willing victims' from the audience. 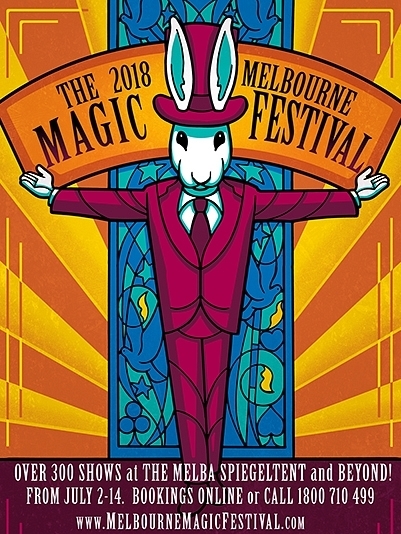 There's still time to catch lots of shows at the Melbourne Magic Festival, so head to melbournemagicfestival.com and check out the variety of acts. There is also a special 'Hat Trick' deal where you can score discounts on your tickets - but be quick!